Our unique user-friendly closure system SqueezeOpen is a primary packaging solution created to enhance consumer lifestyle. With a modern look and tactile feel, the packaging is designed to satisfy consumer wants and desires, whilst improving convenience, pack performance and ease of use. SqueezeOpen has an easy opening and closing action which improves the consumer experience and promotes interaction. It is simple and intuitive, requiring only a gentle squeeze to open the pack and an effortless pop to press it closed. It really is that quick and simple. These effective functionality features provide valuable advantages for multi-use products, products requiring single handed use, people on the go, and for individuals with dexterity problems. 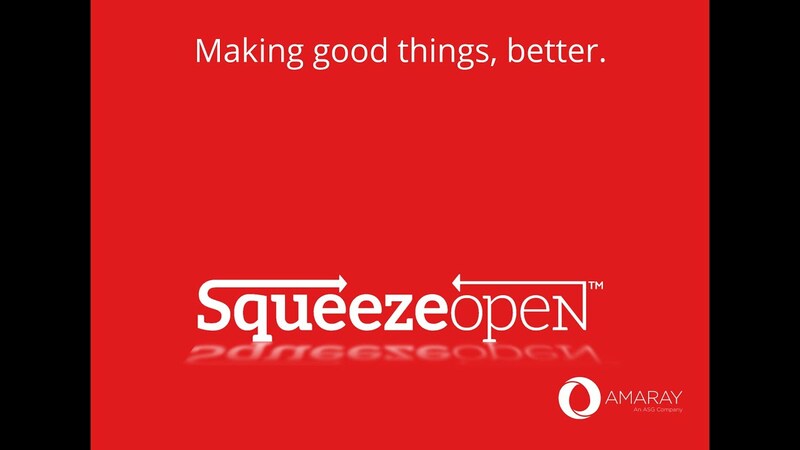 SqueezeOpen makes the consumer feel special, encouraging customer and brand loyalty. Packaging is becoming an invaluable communication vehicle for brands, representing a cost effective, efficient and readily available alternative to traditional advertising methods. It is therefore the only marketing element experienced by 100% of a brand's customer base. SqueezeOpen is recommended for personal care packaging, food and confectionary packaging, vitamin and supplement packaging.